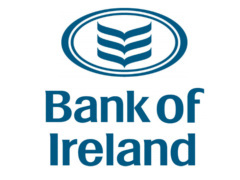 Bank of Ireland has raised €1 billion through the successful sale of a three-and-a-half year bond backed by Irish residential mortgages. More than 200 international investors bought into the bond, including Credit Suisse, HSBC and Lloyds Bank. Bank of Ireland said that there was strong demand for the sale, with the order book oversubscribed to the tune of €3.6 billion. The covered bond sale follows a number of successful auctions by the bank in recent months, which it says “reflects the progress being made by the group”.